The official seal case is difficult, and the interest transfer is obvious. Huakai Insurance develops the key period performance shareholder "internal drama"
Recently, blue whaleInsuranceIt is noted that the New Third Board listed company Huakai Insurance Sales Co., Ltd. (hereinafter referred to as “Huakai Insurance”, 834343) issued supervisionBrokerRisk warningannouncement, remind the companyshareholderThere is a dispute between control rights and unstable management. In this regard, Blue Whale Insurance comprehensively sorted out and found that the company's major shareholders have their own "union", and the struggle is still the same. It is worth mentioning that according to the current business data of Huakai Insurance, its revenue is growing rapidly.Net profitIt also turned into a profit in the first half of 2018. Huakai Insurance, which is in the critical period of development, has repeatedly exposed the phenomenon of capital occupation by related parties and violations of shareholders' capital contribution. At present, it faces “infighting” among shareholders. In this regard, industry insiders reminded that successive problems have adverse effects on Huakai Insurance's operation and financing, and it is recommended to establish a governance mechanism for effective internal and external checks and balances. Huakai Insurance’s farce of a shareholder’s infighting is going to the Central Bureau. Recently,Caitong SecuritiesCo., Ltd. (hereinafter referred to as "Caitong Securities") issued two consecutive announcements about the risk of Huakai Insurance. The announcement gives a clear reminder, "The dispute over control rights between Huakai Insurance shareholders has serious differences. Huakai Insurance has unstable wind direction of management and management, which may adversely affect its information disclosure, normal operation and sustainable development. ". 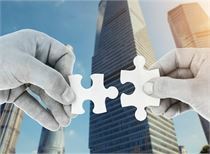 According to traceability, according to the semi-annual report of 2018, the largest shareholder of Huakai Insurance is Hangzhou Huameng Investment Partnership (hereinafter referred to as “Huameng Investment”), with a shareholding ratio of 40.49%. The largest shareholder of Huameng Investment is Liang. Song, who is also the actual controller of Huakai Insurance, was the chairman and general manager of Huakai Insurance from June 2013 to June 2018. Huakai Insurance Corporation is He Banghui, who is from the fifth largest shareholder of Anxin Assets. Until June 2018, Huakai Insurance held a general election, and Zeng Yi was appointed as the chairman of the board. Wu Yuhui was the general manager for a term of three years. Among them, Zhan Yi is the shareholder of Huakai Insurance Information Technology Co., Ltd. (hereinafter referred to as “Zhushang Information”), the second largest shareholder of Huakai Insurance, and Wu Yuhui is the fourth largest shareholder of Huakai Insurance, Shanghai Taoqin Investment Management Co., Ltd. Company (hereinafter referred to as "Taoqin Investment"). In this re-election, Liang Song and Fang Jun from the original board of directors from Huameng Investment were all “replaced”. The replacement was entered by Wu Yuhui from Tao Qin Investment and the natural humanities Guotai. This means that Huameng Investment has only one “spokesperson” Chen Ying on the board of directors. But five months later, in November 2018, Chen Ying was no longer a director of Huakai Insurance for personal reasons, and resigned as deputy general manager. At this point, Huakai Insurance's board of directors has no more investment in Huameng. In December, Dong Lijun, the fifth largest shareholder of Anxin Assets, also submitted his resignation report. A few days later, Fang Jian, who holds 3.68% of Huakai Insurance, was removed from his post. The reason for his dismissal was that he had “two incidents and inappropriate positions, which seriously affected the operation”. Since then, Huakai Insurance, which has only 3 employees on the board of directors, has nominated Chen Guifu and Lu Chenwei as members of the board of directors. However, the nomination was not approved smoothly. In Huakai Insurance, the review of the shareholders’ nomination proposal was held.Shareholders' meetingOn the eve of the convening, Huakai Insurance temporarily added the “Proposal to remove the three directors of Zhan Yi, Wu Yuhui and Wen Guotai, and nominate He Banghui, Liang Song and others as directors of the company”. The proposal of the proposal was for half a year. The internal board of directors gradually lost its right to speak in the Huameng investment. According to the announcement of Caitong Securities, Huameng Investment provided information to it, indicating that it has passed the recall proposal and completed the registration of industrial and commercial changes. At the same time, He Bang will apply for the enrollment on behalf of the board of directors with the official seal of Huakai Insurance and the loss of the board of directors. The new official seal was opened on January 19. But then, the board of directors represented by Zhan Wei reported that the official seal was forged, and the shareholders' meeting was also forced to suspend the meeting due to unsuccessful shareholders' consultation. At the same time, Tao Qin invested in suing Huakai Insurance and demanded that the recall motion be revoked. It is based on the respective words of both parties, Caitong Securities issued a risk warning announcement, and said that it will continue to pay attention to the dispute over the controlling shareholder of Huakai Insurance. Blue Whale Insurance called Huakai Insurance to ask about the latest developments, but did not receive a response. In summary, the "union" formed by the first and fifth largest shareholders of Liang Song and He Banghui and the second, third and fourth major shareholders has formed a confrontation. The important stages of increasing revenue and turning losses are frequently missed, and shareholders are illegally occupying funds. What is the current operation situation of Huakai Insurance, which is constantly entangled by shareholders? According to Blue Whale Insurance, Huakai Insurance's current main business is insurance agent sales and insurance claims assessment business. 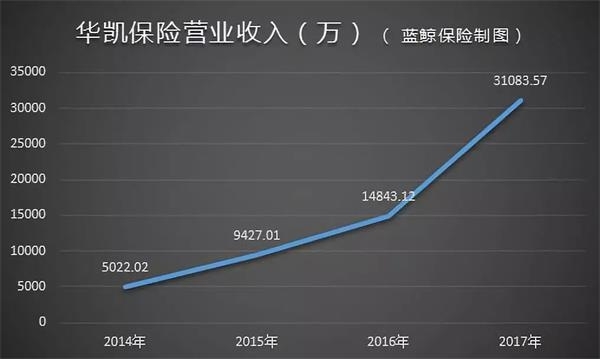 Judging from the disclosed data, since 2014, Huakai InsuranceOperating incomeContinued upwards, from 50.202 million yuan in 2014 to 311 million yuan in 2017, an increase of about 6 times. 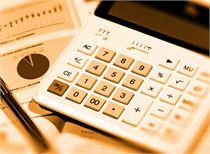 In the first half of 2018, Huakai Insurance's operating income reached 311 million yuan, an increase of 139.91% over the same period of last year. . Along with the sharp increase in operating income in recent years, Huakai Insurance continued to lose money. In 2014, Huakai Insurance suffered a loss of 2.187 million yuan, and the loss increased in the following two years. 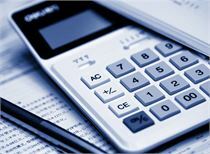 The loss in 2016 reached 14.67 million yuan, a year-on-year increase. The loss was about 1.6 times. 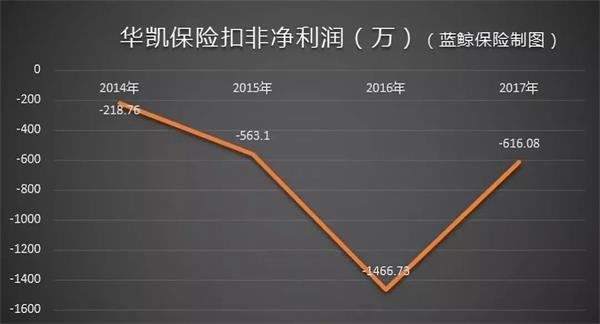 In 2017, the loss was reduced to 6,160,800 yuan. In the first half of 2018, Huakai Insurance realized a turnaround, and the non-net profit reached 1.37 million yuan. For the improvement of losses, Huakai Insurance stated that it has increased its business sales performance policy and the sales business has grown in size. “Huakai Insurance is in the stage of rapid growth in revenue, and has just turned around to make a profit. At this stage, the stability of the management and the correct guidance of the helm have a great impact.” An insurance industry analyst said to Blue Whale Insurance. "Management directly determines the company's business strategy and style, and has a direct impact on the company's top-down management compliance." However, from the current performance of Huakai Insurance, the omission has been revealed. In March 2018, the Zhejiang Insurance Regulatory Bureau issued an administrative penalty to Huakai Insurance. The punishment was for the cooperation between Huakai Insurance and the unit that did not obtain the insurance business agency license. At the same time, there were some companies and other car dealers. The guarantee company pays the sales expenses for violations. One month later, Huakai Insurance received a supervision letter from the Zhejiang Regulatory Authority because some shareholders did not meet the regulatory requirements for the transfer of shares. Not only that, the interest transfer behavior also lays the risk for Huakai Insurance. On June 13, 2018, Huakai Insurance disclosed a notice of the risk warnings of the related party funds issued by Caitong Securities. 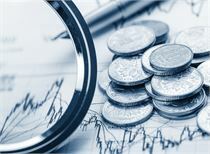 According to the announcement, in April 2018, Huakai Insurance removed 6 funds totaling 21 million yuan from the related party Guizhou Zhihui Financial Services Co., Ltd. (hereinafter referred to as “Huihuijinfu”), and the remaining 20 million yuan of fashion was not returned. .
Caitong Securities clearly pointed out that when the matter occurred, “the procedures for the resolution of the board of directors and the general meeting of shareholders were not fulfilled, and the securities brokerage report was not reported to the company in a timely manner, and the information disclosure obligation was not fulfilled”. In this regard, Caitong Securities reminded that Huakai Insurance may "Injury the interests of shareholders, and adversely affect the company's standardized operation and sustainable development." 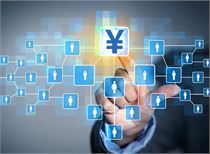 The illegal fund occupies the related party of the transaction to Huijin Service, which is the subsidiary of Huakai Insurance, the second largest shareholder of Huakai Insurance. Zhan Hao is a related shareholder, and the business information and Huakai Insurance hold 55% and 19 respectively. %, and when Huakai Insurance provided loans to Huijinfu, the newly acquired equity was less than March. “Association transactions are good for efficiency, because such transactions are generally based on a good trust base and have lower transaction costs; but on the other hand are also shareholders orExecutiveThe “tunnel mining behavior” of related parties and other related parties provides convenience for related parties to use the associated transactions to carry out improper benefits.” Industry experts have analyzed the related transactions of insurance institutions. “This kind of behavior is not in compliance.” Wang Ligang, general manager of Northwest Management Center of Huarui Insurance Sales Co., Ltd., bluntly stated to Blue Whale Insurance. 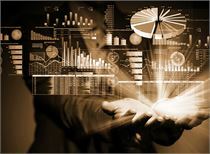 “It is undeniable that insurance intermediaries are in management structure and behavior compared with insurance companies. There are large gaps in compliance and other aspects. In particular, most of the insurance intermediaries' shareholders are not from the financial industry, but from the entity companies. They are aimed at the long-term and continuous use of insurance funds." “This type of shareholder may not be operating as an insurance institution, but as a financing channel,” Wang said. “This behavior has a negative impact on the interests of other shareholders, the social impact on the company, and the listing price. The impact is also based on the elimination of such behaviors. At present, the regulatory authorities are strengthening the supervision of the insurance institutions on the first floor and the third session, and urged each to play its role, mutual restraint and supervision to prevent the actual control of the phenomenon of 'one big one'." . For insurance institutions, industry experts have suggested that “the company’s shareholders, policyholders, creditors and external regulators should be involved in the company’s governance operations in different ways to establish effective internal and external governance mechanisms. 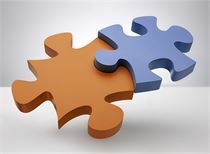 Governance operations should also fully consider the needs of diversified stakeholders and seek and build a model of joint governance."